I always enjoy preparing for the workshops that I teach at Art & Soul, Portland, 2019! This year I am offering some brand new classes. 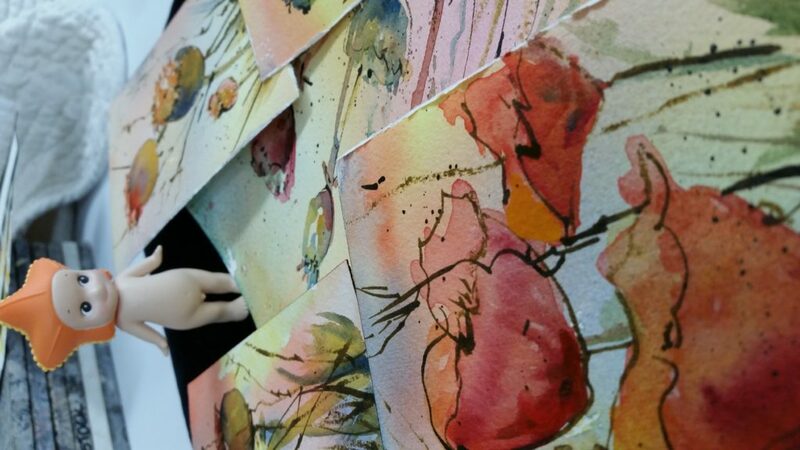 On Tuesday, March 12, 2019, I am teaching a watercolor workshop called The Painted Garden. We will be painting some gorgeous flowers! These are fun, loose, and colorful. I often turn some of these little gems into cards that are for sale at the Red Chair Gallery in Bend, Oregon. 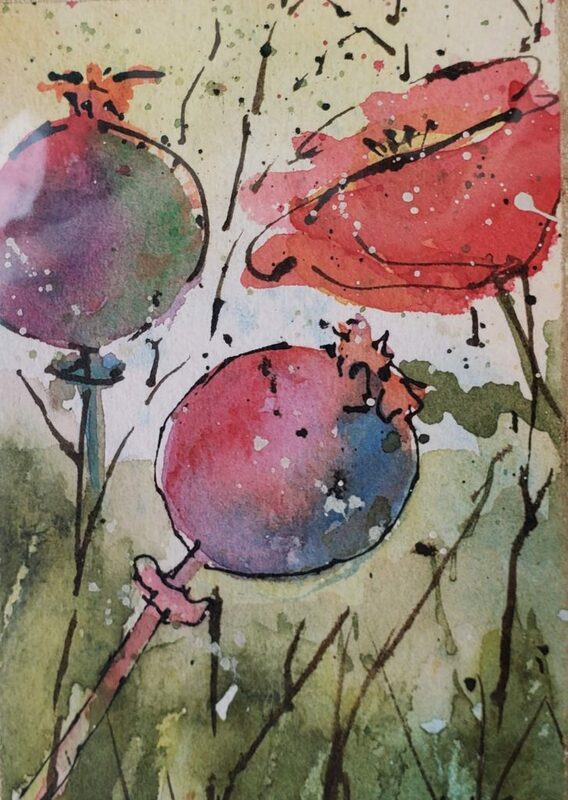 I enjoy sharing my passion for painting and watercolor painting and mixed-media art journaling by teaching in her Art in My Heart private studio, the Art & Soul Retreats in Portland, Oregon, France, and Italy. 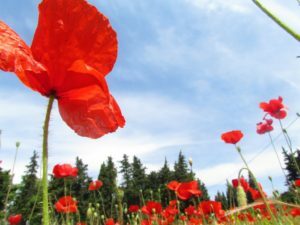 My next overseas workshop is with French Escapade in Provence, France, May 2019. There are just a couple spots left in this workshop! 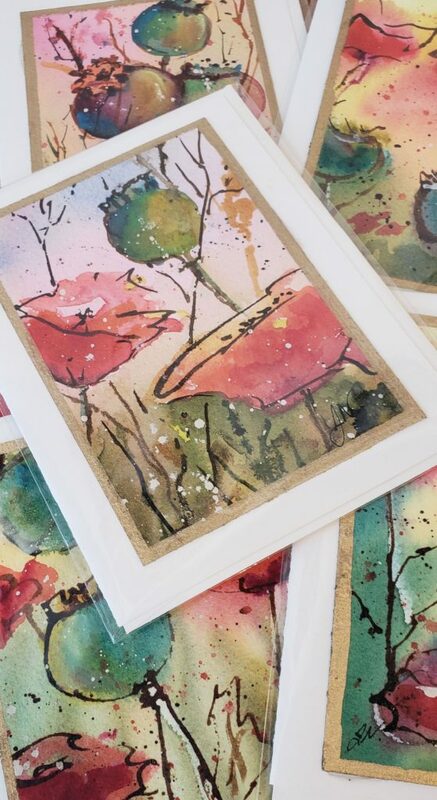 My paintings and mixed-media art journals have been featured in magazines and books such as Somerset Studio’s Art Journaling, Interweave Press’s Cloth Paper Scissors, Studios, as well as the Cloth, Paper Scissors Book and Splash 17, the Best of Watercolor. 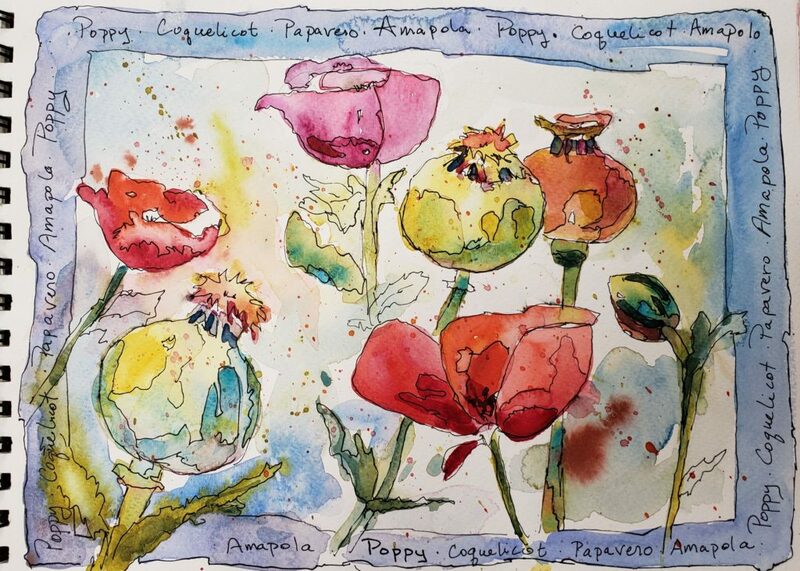 Jacqueline is a member of the Watercolor Society of Oregon, and the High Desert Art League. She teaches watercolor workshops locally, nationally as well as leading painting workshops in France and Italy. She has several articles published in the mixed-media magazine, Cloth-Paper-Scissors about creating art while on your journey. Jacqueline has partnered with Daniel Smith Art Supplies to create a watercolor traveling kit. 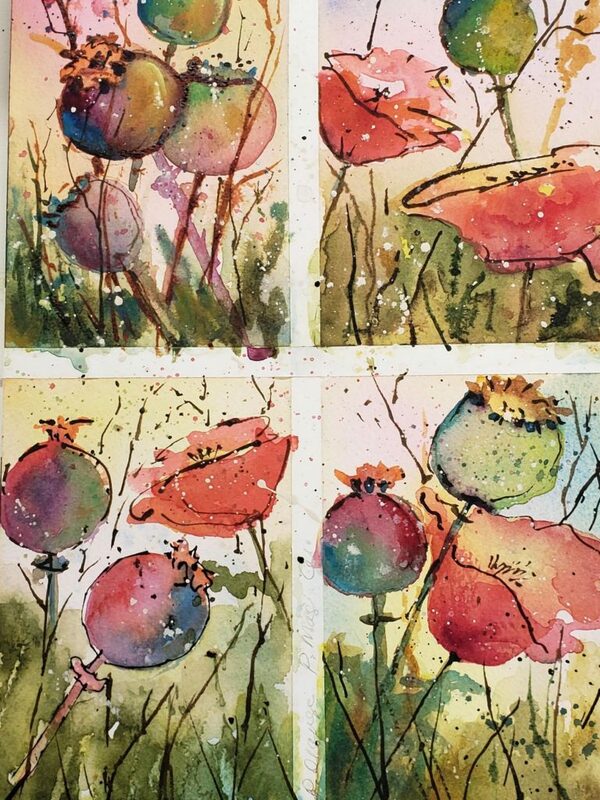 Her self-published book, Watercolor Journeys is a helpful guide for beginning to advanced watercolor enthusiasts and her workshop DVD with Interweave has just been released: Art Journals On-The-Go: How to pack, prep, paint, and more. 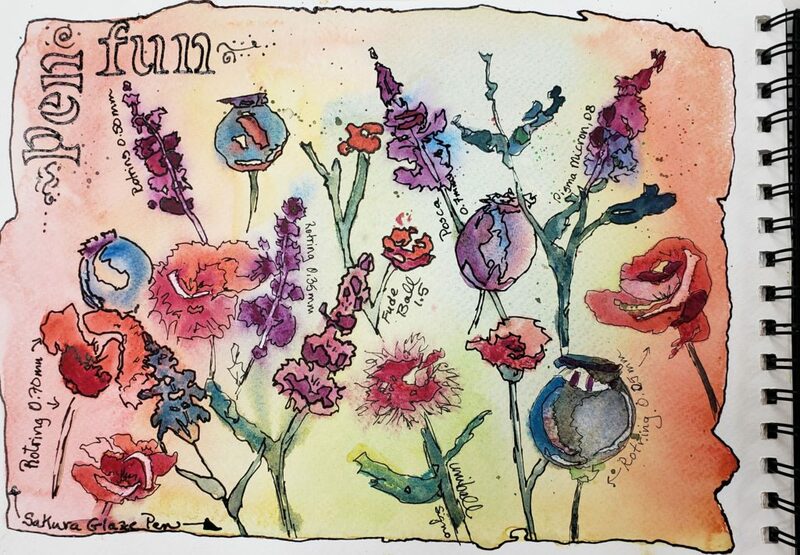 Is The Painted Garden appropriate for someone that has little to no watercolor experience? I always try to make my classes fun and easy for beginners as well as more advanced painters. I will do some demonstrations and then you will have time to practice what I show. Don’t worry about being a novice. We all had to start there too. It is just a matter of learning about how the paints react to the amount of water and the paper. I always tell my students to put miles on their brushes meaning the more you paint the better you will get! I would love to paint with you in Portland! 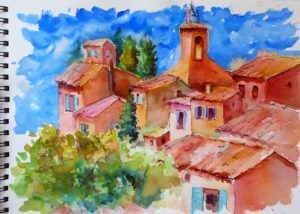 Come paint with me in Provence, France, May 10-17, 2019!